Yesterday, Nokia’s stock hit a new 16-year low after the company announced it Q1 earnings reports, and the revelation surrounding an issue found with the Nokia Lumia 900. Despite hearing some grim news, there was actually a positive thing from it. Rather than speculating on the troubles facing Nokia, AT&T’s president of retail sales and service, Paul Roth, actually came to the defense of the new Windows Phone. In fact, he simply stated that the Nokia Lumia 900 sales have exceeded expectations. To further substantiate the claim, Roth says that sales have been so great that many stores have reported being sold out entirely of the device – well, it’s mostly for the cyan version of the Lumia 900. Furthermore, it’s pretty impressive considering that the handset has been out for a mere few days already, but then again, we’re certain that it’ll more than likely remain like that knowing the handset can be bought for free right now until the 21st. Throw in the fact that Amazon has also been reporting similar demand for the Nokia Lumia 900, it really makes us wonder how many devices have been sold thus far. In any event, it’s obvious that the Nokia Lumia 900 is simply one of the hottest devices out right now. See this is good news. The Lumia's have sold 2 million but the AT&T Lumia 900 was not part of that list. I am telling you guys Nokia & WP are taking baby steps but before not too long those baby steps will become GIANT steps! There is interest in both Nokia & WP. This indeed is great news for BOTH Nokia & WP. Keep up the GREAT work! Of course! Remember Android?...Everyone thought that Android has no chance in the face of iOS popularity years ago. And if you told anyone at that time about today Android, no ones give a chance to hear your words or believe you. So to conclude that, Android was tiny back then compares today is a giant, and still growing. Therefore it is not impossible for Nokia and Windows Phone in the face of the giants; Android and iOS. What we saw today WP+Nokia is just a beginning as is same for Android first launch years ago. To determine what their position in smartphone markets world wide. Only time can tell. That's good news indeed. Good to see my favorite brand starting to climb out of the hole. But it's far from over. CNet reported that at 5 stores they went to, they were persuaded to buy an iPhone instead og the Lumia 900, even though they did ask for it. That's not good for Nokia and Windows Phone. But, am looking forward to see some more awesome devices from Nokia. Because maybe staff earns more for selling the iPhone ? If AT&T is the only iPhone carrier and it do that I have no problems with it In this case the iPhone wasn't AT&T exclusive any more why the f-u_c-k do they wanna do that ? Yes, we have sold out of Lumias at my store. The thing is we only had 6 in stock. What's the restocking process then? I feel this is going to be one of those shipped vs actually sold devices stories. "In just after a few minutes of that announcement Apple just announced their own. Starting tomorrow their iPhone 4S will now be $99 after a 2-year and the iPhone 4 will be free for another 2. Sales skyrocketed so high Apple now declared ownership of Cupertino." If you make it cheap, they will come. Hello?? Iphone 4 and 3GS....where have you been? really? i thought apple wont drop its price tag no matter what..
this is great news! GO WINDOWS PHONE!!! This is GREAT news! And seeing as how when I purchased my Lumia 900(cyan)on monday it was the last one in stock, I can believe that it has some great sales. Great job, Nokia and Microsoft! i saw a person having nokia 710 in my office & i had a chance to play with it. It is a pretty good phone & i love it. Good news indeed, but also important is how much stock these stores are getting. Best Buy is getting two of them to start, so selling that out, although typically tough depending upon the store, really isn't a huge deal. 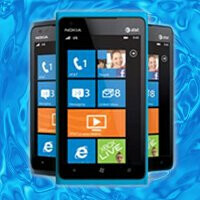 I can't wait for WP8 to come out. If Nokia really does have total say over the camera UI in that, the Lumia 900 will look like an iPhone 3G come the end of the year. Yeah, of course it exceeded his expectations. All of his employees are swaying people towards the iPhone, probably told to by him. Any sale of the Lumia is surprising. this is great news to hear but if anyone out there wants to buy a Lumia 900 maybe you had better skip buying it from an AT and T store because they may tell you Android or Iphones are your best bet. Amazon or Best buy wont give you any argument or steer you away from one. get education education on now the Windows smart UI works from web sites like this read windows phones product reviews and then buy it baby. .